Lately Norah has been growing like a weed but I didn't realize it until my daycare lady mentioned she had grown about 5cm in 4 months!!! Then I realized I didn't have a growth chart set up for her... We have 2 growth charts but one has velcro pieces which Norah loves to pull off and the other is too pretty to mark up with pen. SO off to Pinterest I went to find something easy to make and found this pin. Which took me to Dear Lillies website where you can buy this for $49.99. I LOVE the look of it!!! And it would be SUPER easy to make! SO I had Ryan run to Home Depot and get me two (I planned to make 2 of these) 1 by 6's. Then they sat in my hallway for a month. I had planned on staining the wood with some leftover stain I had from back when I helped a friend stain her bed. (see here) However its now super cold outside and staining outside is not an option. I could stain it in the basement but then the house stinks and its not properly ventilated... so that was going to happen. I had also planned on bringing the wood to my parents house and staining it in their garage because they have a heater in there. But I forgot the wood when we went to visit. Thats why the wood sat there for a month!! Then last Friday I took the day off work and decided it was time to deal with it!! 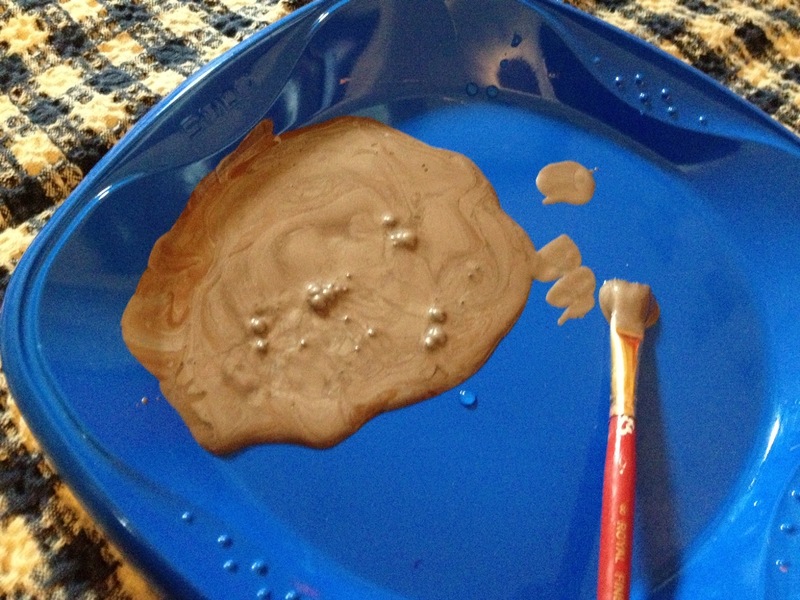 I sat back and brainstormed what I could do without using stain! Then I thought meh lets try something new. So I pulled out some brown and silver paint and mixed them one a plate. Then using a rag I wiped the paint onto the wood letting it truly soak into the wood. I tried using a paint brush but it looked bad. The rag was the way to go! It made the paint smooth and even and I only had to do one coat!!! I honestly wasn't sure how this would end up turning out but I figured it couldn't look that bad!!! And I was right.. I LOVE how it turned out and I'm so glad I used the silver because it gave it an awesome yet subtle shine! 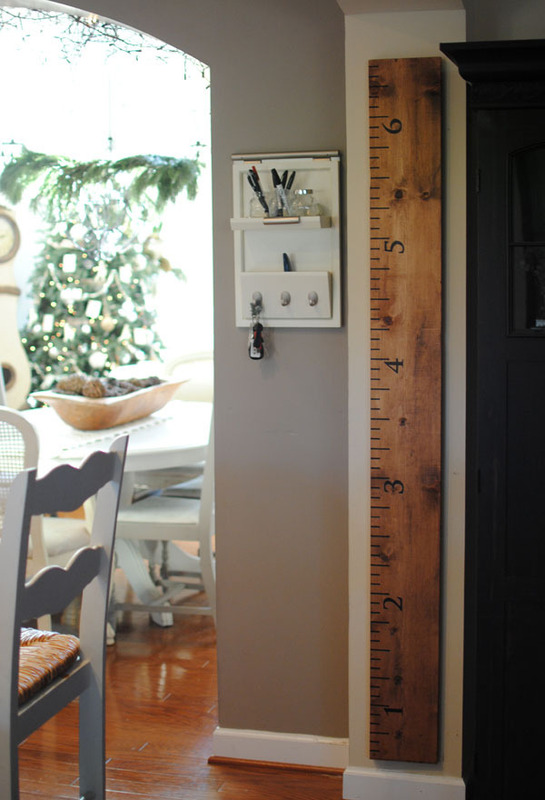 Then using a measuring tape, a ruler and a marker I marked the lines onto the wood. I made the foot markings 2 inches in length and the inch markings 1 inch in length. This took about 5 minutes to do. Then I freehanded the numbers. I had wanted to use a stencil for them but couldn't for the life of me find my numbers stencil... so I freehanded it!! And there you have it, Norahs growth chart!! Now we just need to hang it!! I made it so it starts at 6 inches, which means we need to hang it 6 inches from the floor.